Yeah, pretty much. I didn't really think they're reasoning was all that sound. If I was in the market and could choose between a car with M on it and one without, for a relatively modest price differential, I'd be going the M route every time. Beautiful M2!! Right choice of color too! If i were to buy a full track driver's car in the BMW's line up, it would be 228 (230). Power is not an issue since it is capable of producing more than enough power and even stock it is faster than 335/340. You can definitely feel the weight difference in corners between the 4 bangers and the 6 cylinders. But i personally hate the way the power delivers on the 4 bangers and the sound is meh. You can definitely feel the weight difference in corners between the 4 bangers and the 6 cylinders. But i personally hate the way the power delivers on the 4 bangers and IT SOUNDS LIKE A LAWNMOWER. Quick question on the EL, which one do you prefer to drive more? the 135 or m2? It is an interesting comparison since M2 is the post numb steering era but the best that BMW currently offers. 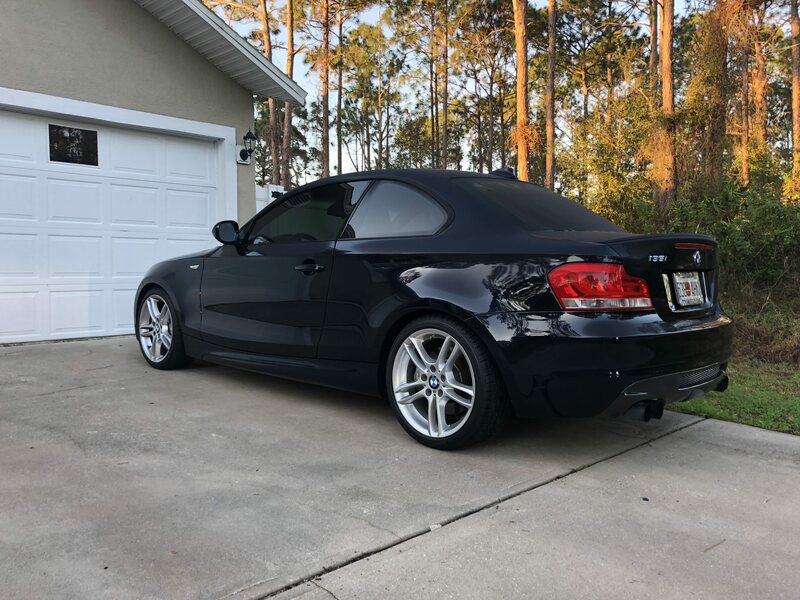 135i is still the old school BMW feel. he'd have to ask his GF if he can drive it to make that comparison. I saw someone who quoted something about the 228 being preferred over the M2 or something by some magazine...it's a member on here. I don't understand how or why that could be true though. Damn, this guy sounds cool! Yeah so I love the quote from Road & Track mainly because it was so unexpected. Take it for what it's worth - an opinion. Yes, we all want a turbo-6 [or a V12] at times (including me), but the 228i simply does not disappoint especially since BMW slightly underrated this model on paper. Last edited by '01White3.2CL; 11-30-2017 at 07:47 PM. Read this week they dropped the idea of the M2 CSL, might do a CS edition..
BMWCCA reposted a pic with both cars together and I had the same question asked by a couple people. A lot of people complain about the latest M cars steering. I cant compare it to an e30 or e46 M3 since I haven't driven them. 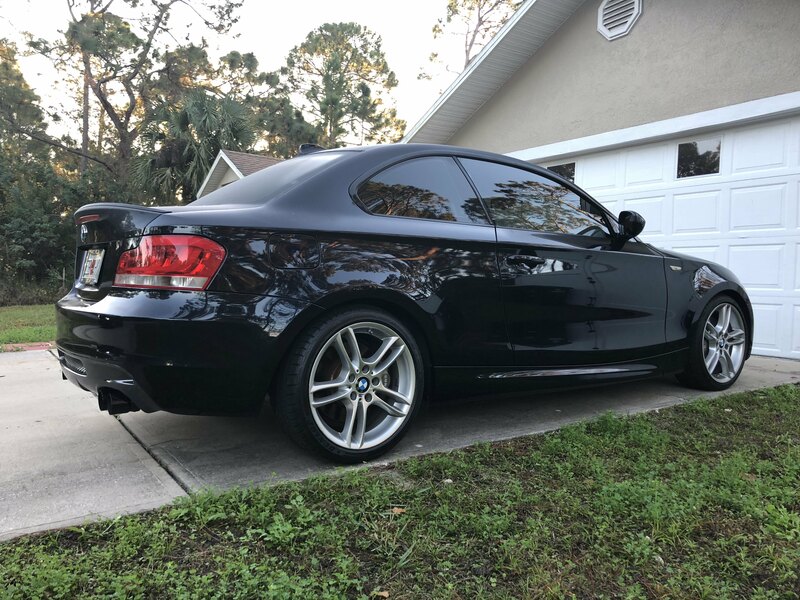 This 135i has active steering and its a blast to drive everyday around town. 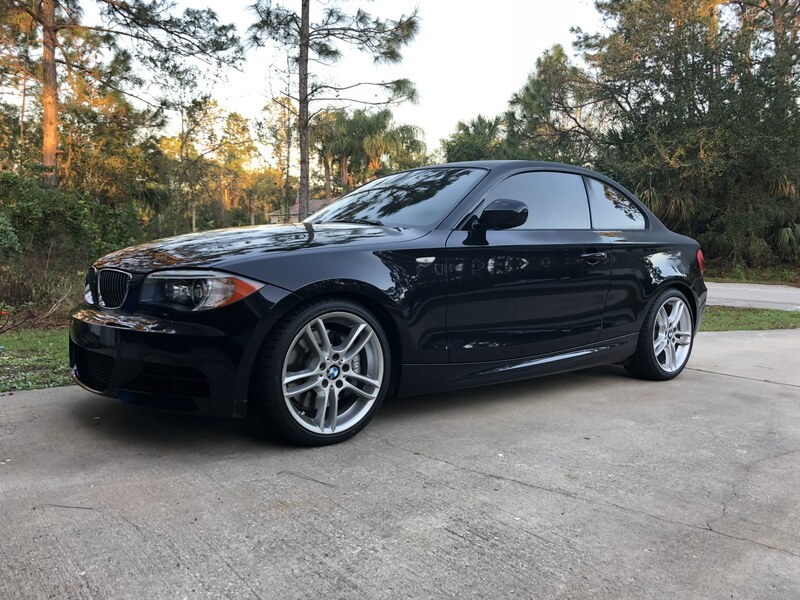 I use the 135i daily so its more practical because of the steering feature. The M2 I pushed nicely this week at palm Beach International Raceway and the steering feedback was awesome, but again I don't have anything to compare other than my old del Sol which had no power steering and was running massive 225 tires on its tiny body. Both cars provide good steering feedback and work well for what I use them! Had some fun at Palm Beach International Raceway this week during an SCCA Tire Rack Track Night event! Met another LBB owner there! I am editing the videos will have soon! Some fun at PBIR this week! Congrats. I drove one of these at an M trackday over the summer. Personally I liked it quite a bit more than the M3. Which one did you do? Homestead? Did that one this year and we drove the M2 and the M3 on the full track. 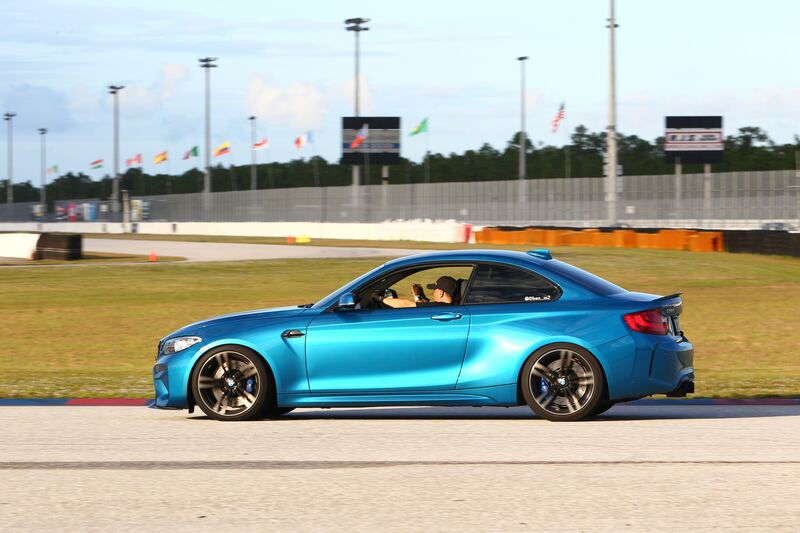 I did the M2 first and then the M3 and had the M3 sideways at 70mph at once having nannies on. The weight difference can be felt heavily when pushing them around hard. The M2, although less power, had more balance. When coming hard into corners in the M3 you could feel the weight just pushed the car too much. Might have been also that the M3 we used had its tires almost shot. It was COTA. Fun event. I bet it was! That might be the BEST venue they have held that event at. 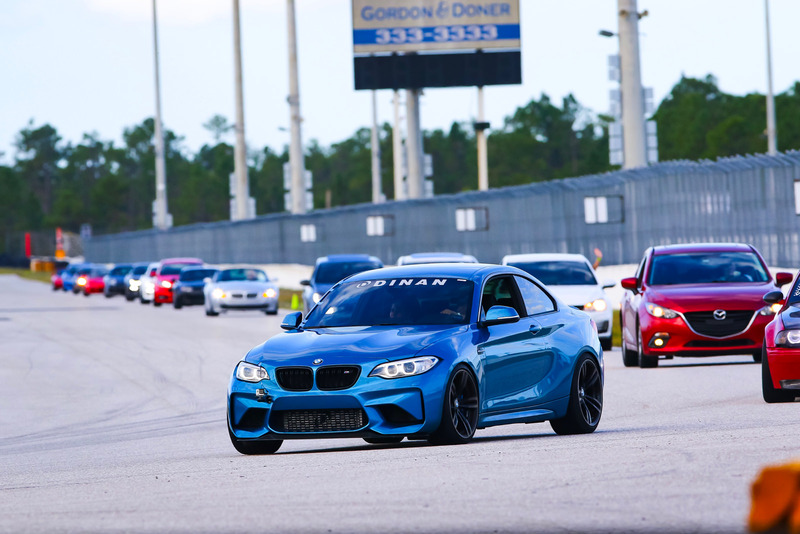 Read about people catching a flight there to be able to run at COTA since doing it with the M Track Day was actually cheaper that a normal track day there. Plus M cars included! one of the few people that gets a car that's good on the track and actually uses it for that purpose! (in addition to daily duties and touring to cars and coffee!). Thanks brotha! I bought it to enjoy it! Not to park and look at it! Happy Holidays to you too and your beautiful family! hope to see you early in the year and not let too much time go by! 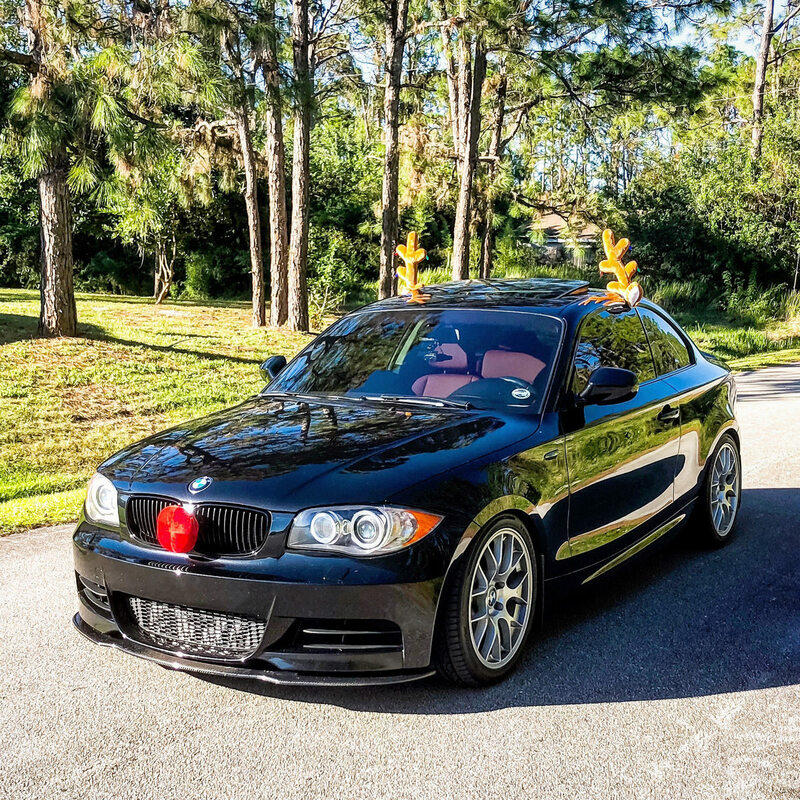 Have a couple more pics to update.. had to do the Reindeer pic.. and another one from the Track Day.. Absolutely, man...I'm into that idea. Went to a cool car thing on Sunday morning in Wynwood...long drive for you but some seriously cool cars. There is something down your way Porsche related.. if I head down I will hit you up brother! Wait, you don't have a Porsche! See... you didn't believe the Black one was mine. So we had to go and buy a second one just for her..
Second 135i added to the car fleet..
he bought another car, Jason. Not a truck. I read the pickup the same way.. are you implying it needs to be lowered cause its looking like a pickup truck? Video of some fun at Rolex 24 Hours last weekend.. won a Hotlap in the new F90 M5 which hasn't been Released yet! yes it needs to be lowered...should I work Mel for the mods i want on this one? 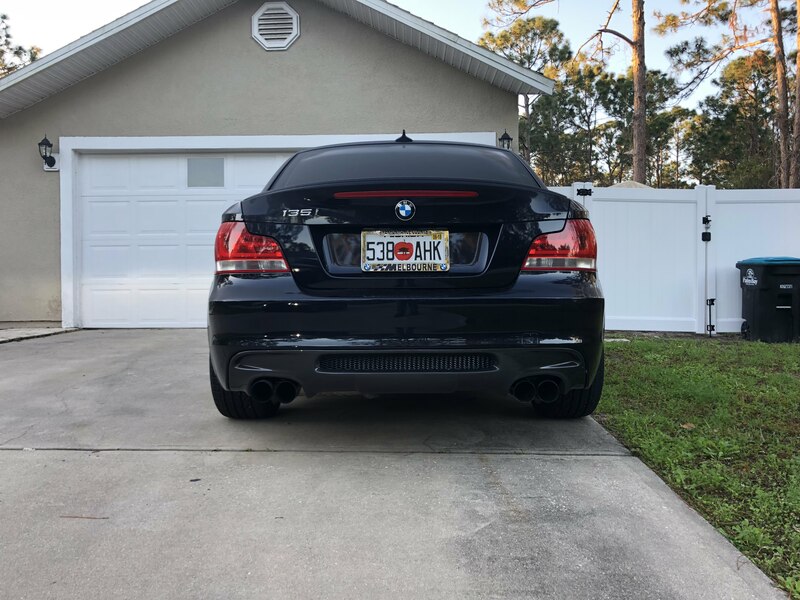 She already ordered the black grill, Carbon Spoiler and the same Carbon splitter I have on mine.. the car will because almost a twin of mine but with different wheels most likely.. Cool video someone took during the Daytona Rolex 24 Hours while at the BMWCCA Corral this year. Got rid on the CRX! No more Hondas/Acuras at home! longstroke kenny was videotaping you? ​​​​​​​Had so much fun with this car, ON TO THE NEXT! You're selling it and moving on? Si! Already traded it and waiting on the newer model. Should be delivered around October. I has been one of the most fun cars I have owned!